The team of developers at Photo Mechanic have two big software announcements for 2019. First, Camera Bits (Photo Mechanic’s parent company) is releasing a new version of their excellent browsing software in March 2019. Second, they are releasing their long-awaited image catalog functionality in April of 2019. I can’t tell you how excited I am about this software announcement. I’ve known for years that Photo Mechanic was working on a catalog feature, but due to the technical difficulty of creating a photo cataloging tool that is also fast, it has been … delayed. At this year’s WPPI event in Las Vegas, I talked to Camera Bits’ development and marketing teams to see if they had made any progress on a catalog tool. To my surprise, they said “yes, but it isn’t really public information yet.” So instead, I asked if they’d be willing to share some of the new features in the soon-to-be-released Photo Mechanic 6. Toward the end of my interview on version 6, I asked them if they’d consider tipping their hat toward the upcoming announcement the catalog software (version Plus), and their answer was yes! 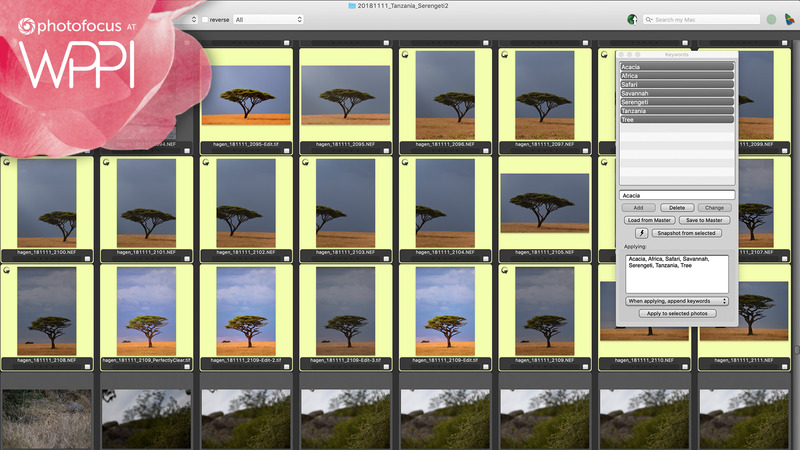 Most photographers use Lightroom for their catalog tool, myself included. It is a great tool, but power users often find Lightroom to be a bit slow. Photo Mechanic version 5 is a browsing-only tool and is the fastest piece of software I have ever used. Seriously, it is blazing fast. I use Photo Mechanic when I need to quickly find a photo, quickly export images, quickly keyword or anything else where I need ultimate speed. For me, the only downside with Photo Mechanic is that it doesn’t catalog information or store it in a database as Lightroom does. The announcement of Photo Mechanic Plus changes everything. I will be among the first to participate in the public beta and I hope the software is stable, fast and useful. Camera Bits has been working on this software for a long, long time, so I’m betting on them to knock it out of the park. Check out the official announcement of Photo Mechanic’s catalog feature at the 3:42 mark in the video below. To learn more about Photo Mechanic, visit the Camera Bits website.